Lydia Quarles ’71, a political science major at the W, is a Starkville attorney and Senior Policy Analyst at the John C. Stennis Institute of Government at Mississippi State University. In which extracurricular activities did you participate at the W? I was a member of the intercollegiate debate team and the intercollegiate platform event team. Tell us a little about your job history. I clerked for the Alabama Supreme Court right out of law school, followed by two years of private practice in Birmingham, five in Columbus, and 13 in Starkville. I was then appointed Administrative Judge at the Mississippi Workers' Compensation Commission for eight years, and then appointed Commissioner (agency head — six-year term). Now I am in private practice with Knight Mozingo Quarles & Simpson of Ridgeland and Starkville, and I serve as Senior Policy Analyst at the John C. Stennis Institute of Government at Mississippi State University. Additionally, I do consulting work on the side for WPF, LLC. When did you first become involved as a W alum? What has your involvement entailed over the years? About five to six years ago, I was asked to serve on Gail Laws' board. I have been active ever since. What is your office this year? Parliamentarian (chair of constitution and by-laws also). What are your goals for MFAeA this year? Now that Dr. Limbert has decided to retire, describe your ideal candidate for her successor. The ideal candidate would be a graduate of a women's institution — preferably the W, but if not that, then a woman's institution. The W's mission has not changed. It should still put "women" first. What can the average alumna or alumnus who isn't really a "joiner" do to support the university? One of the delightful things about MFAeA is that we have e-chapters. Joining an e-chapter is not like joining a regular chapter — no meetings and as little or much interaction as you would like with other e-chapter members. Find an e-chapter that interests you and connect in that way. If there is no e-chapter that interests you but you have an idea about one, contact Shirley Spain, wrenshirleyspain@aol.com. Describe the MUW you hope exists 10 years from now. The premier women's university in the U.S. with opportunities which meet the needs of all sorts of female students. A place which understands and appreciates tradition just as it embraces change, but an institution which remembers its mission. 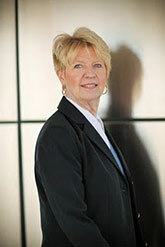 This profile, compiled by Ruth Wilz Curcuru ’83, originally appeared on the MFAeA blog, http://mfaea.blogspot.com.